The 'Clement Group' of companies, based in Auckland, New Zealand, is focussed on helping clients add value to their seafood and related businesses through innovative solutions and the creative use of information and technology. 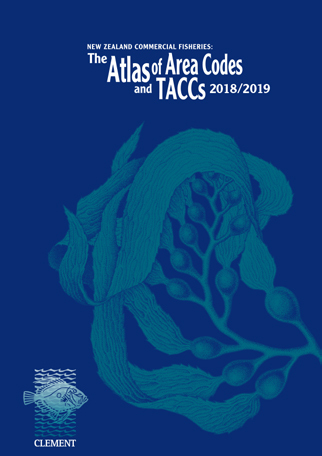 To order copies of the TACC Atlas please complete and return the order form to accounts@clementgroup.co.nz. Earlier editions are available at the discounted price of $15. The Common New Zealand Marine Fishes booklet is available for $5.